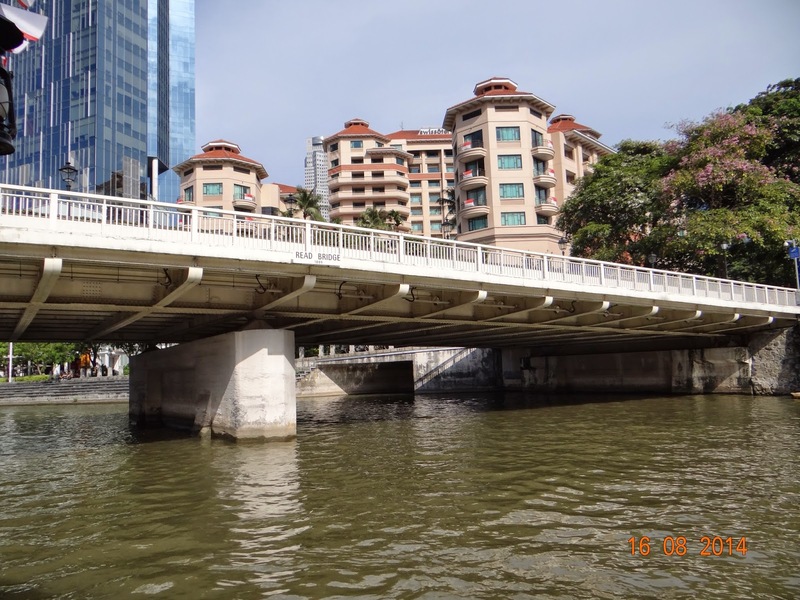 The locals called the bridge Malacca Bridge, given its proximity to Kampong Malacca at Merchant Road. 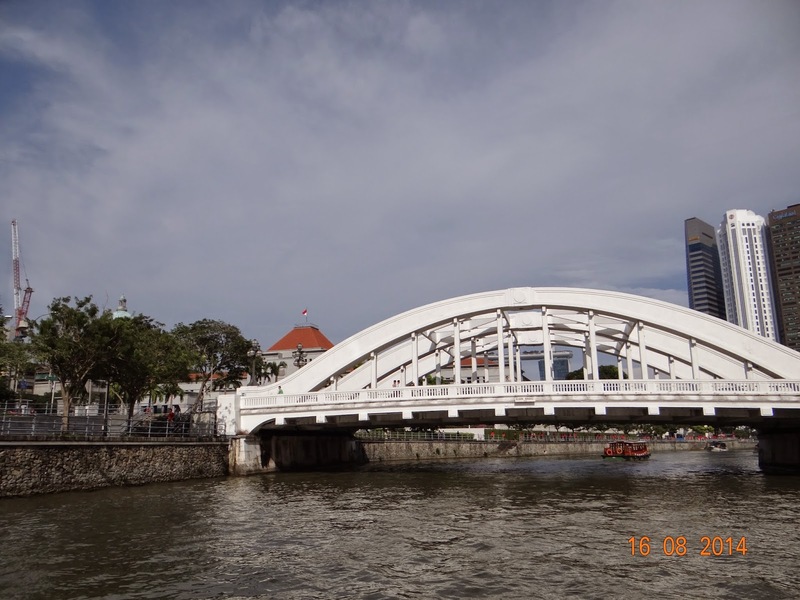 The Hokkiens refer the bridge as kam kong ma lah kah kio (Kampong Malacca Bridge). 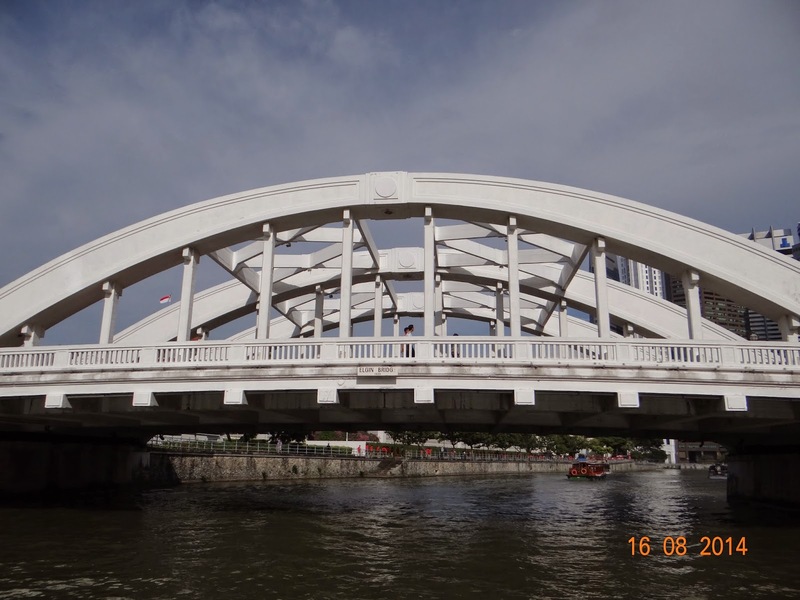 It was also known as Green Bridge because of the colour of the bridge during the period of time. 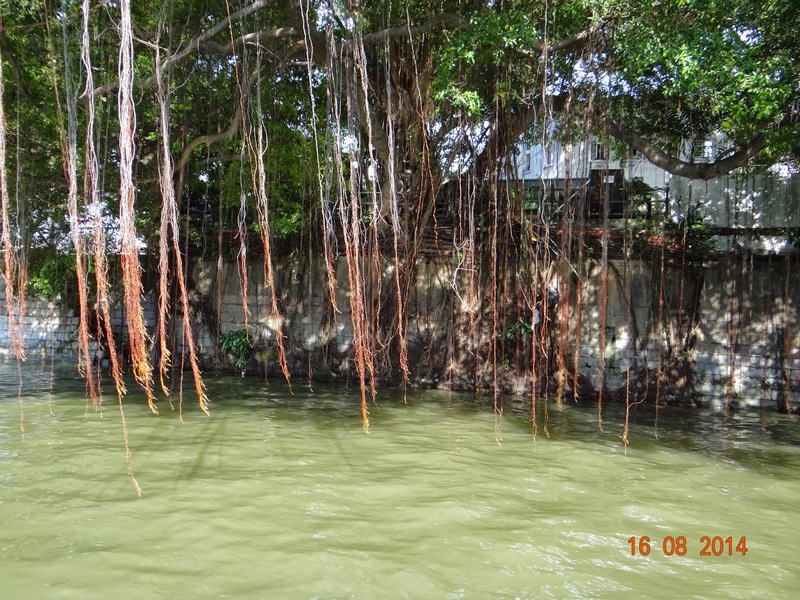 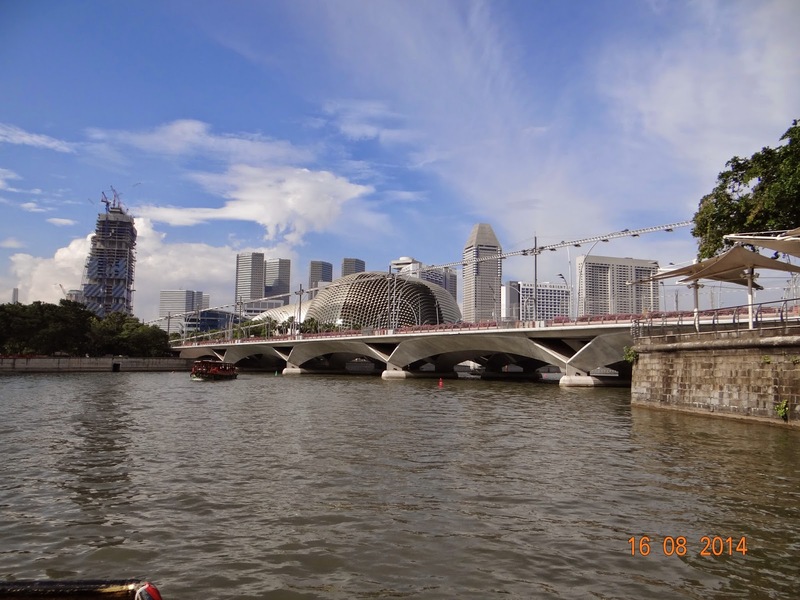 In the past, labourers and tongkang (boat) rowers gathered there to listen to Teochew storytellers. 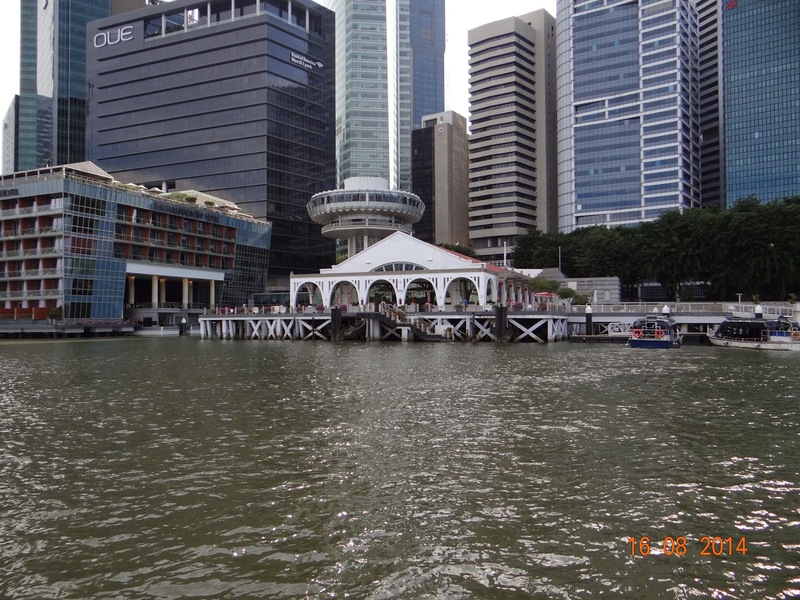 The area around the bridge used to jetties that unloaded firewood from Indonesia - cha chun tau. 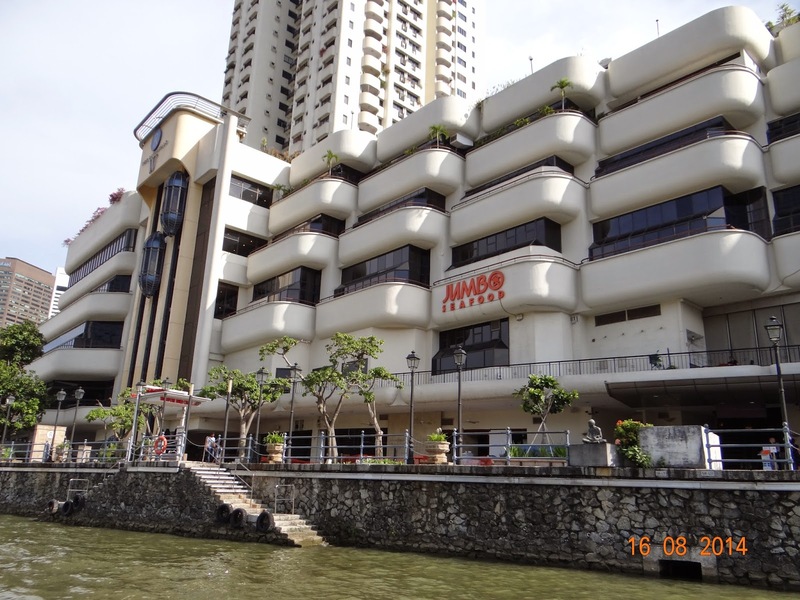 Neeti recommended Jumbo Seafood for a Singaporean speciality - Chilli Crab.... but I reminded myself of my budget, and I was proud I resisted all temptation gorge on the creepy-crawlies! 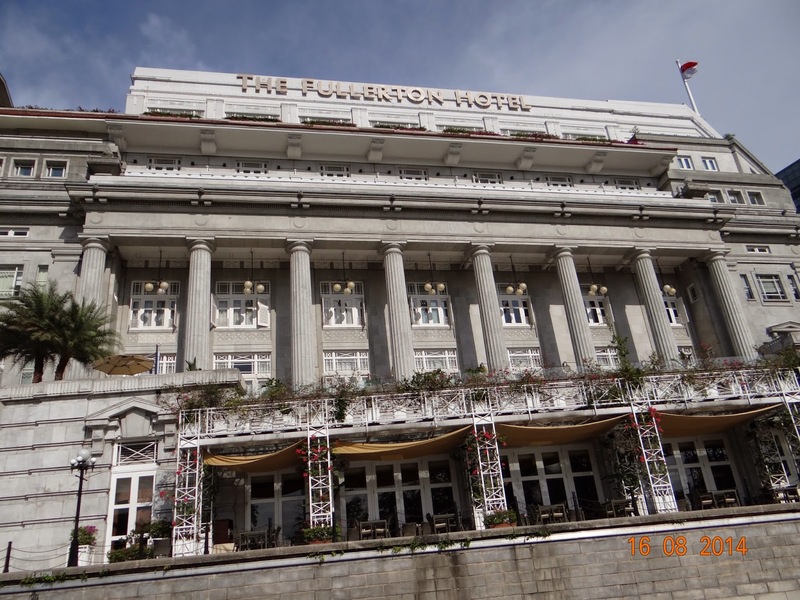 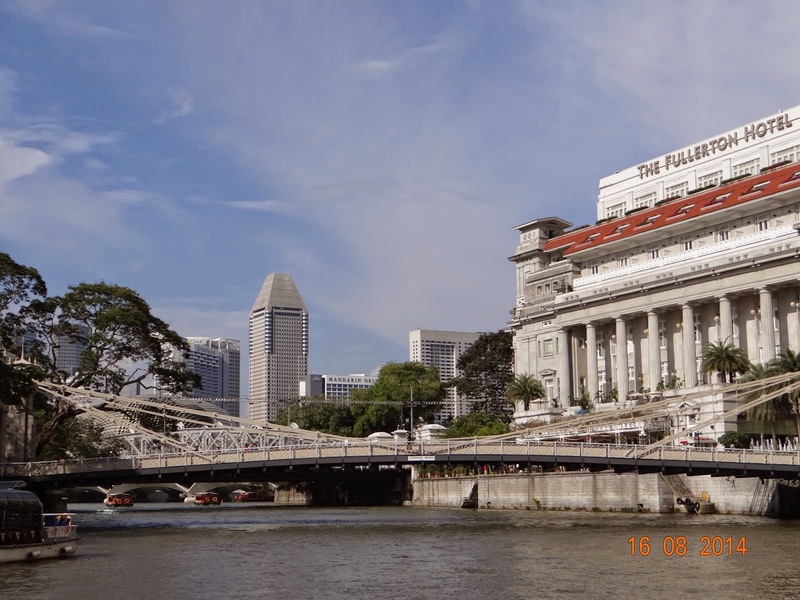 We approached the very elegant Elgin Bridge named after Lord Elgin, the Governor-General of India in the 1860s. 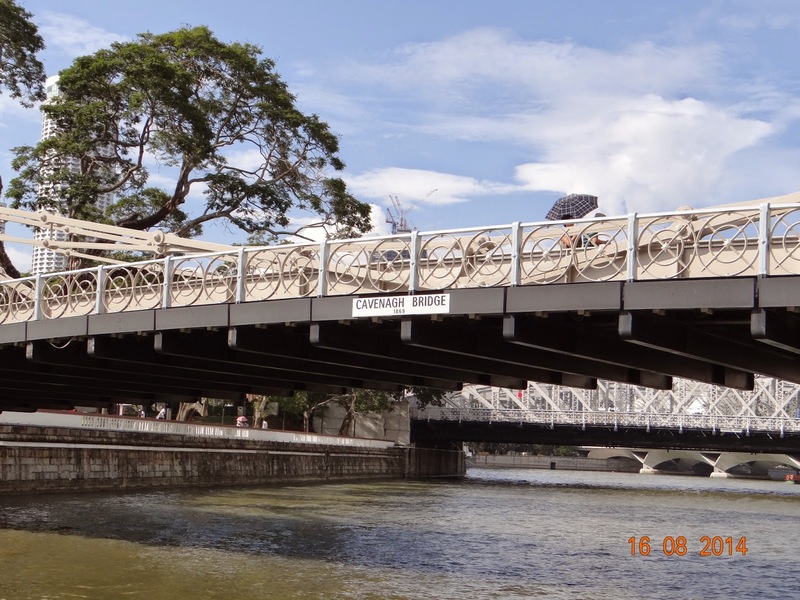 As this was the first bridge across the river, the two roads leading to it were named North Bridge Road and South Bridge Road accordingly. 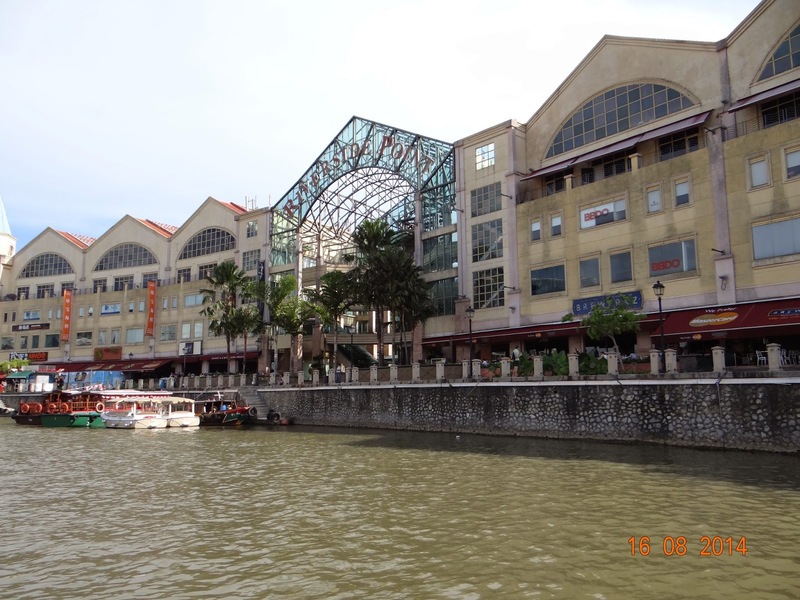 The blue sky looked lovely, but it became too humid as we approached the Durian! 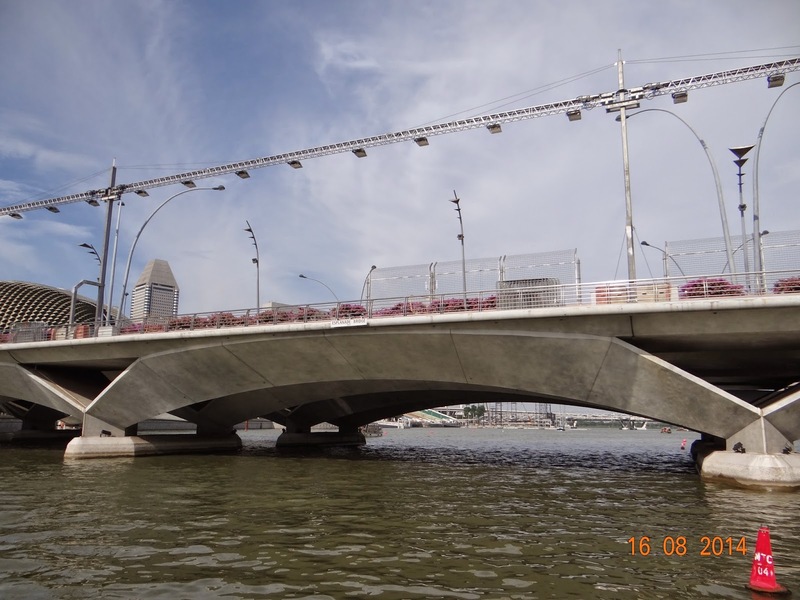 This is a recent bridge, it was built in the 1990s! 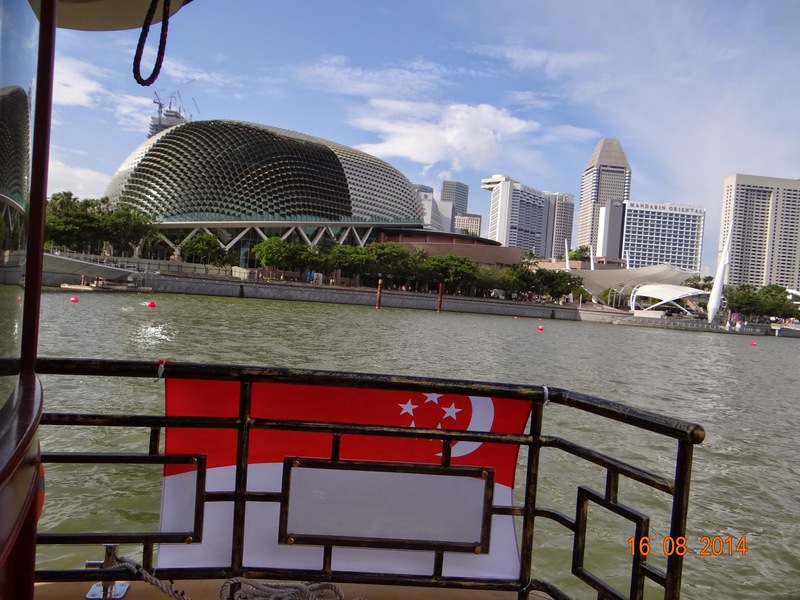 Esplanade – Theatres on the Bay affectionately called the Durian! 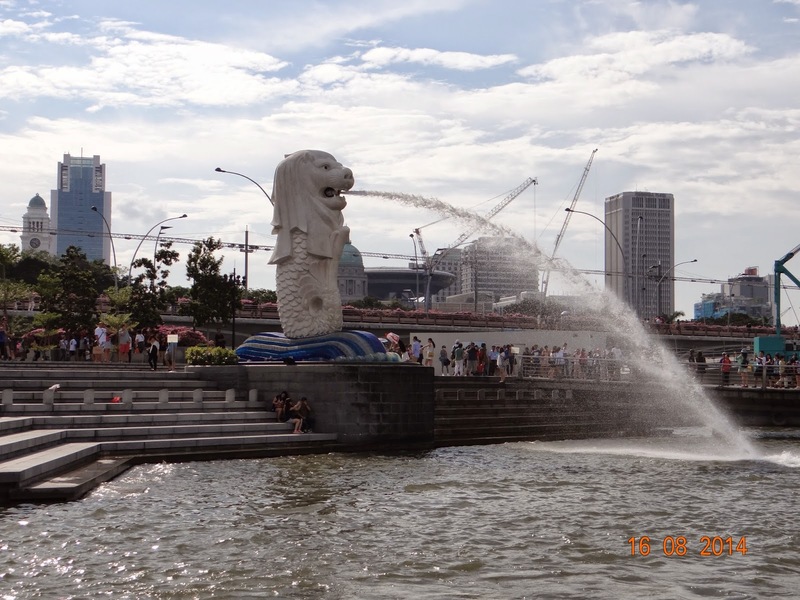 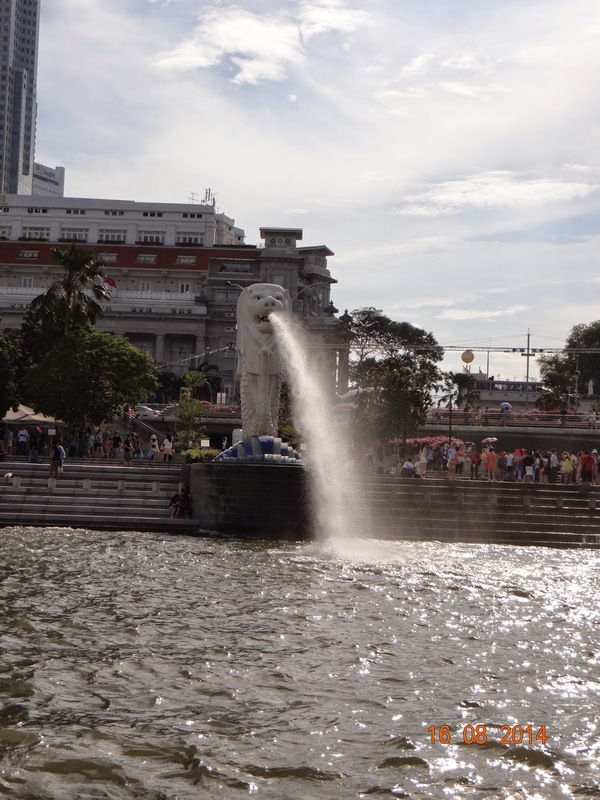 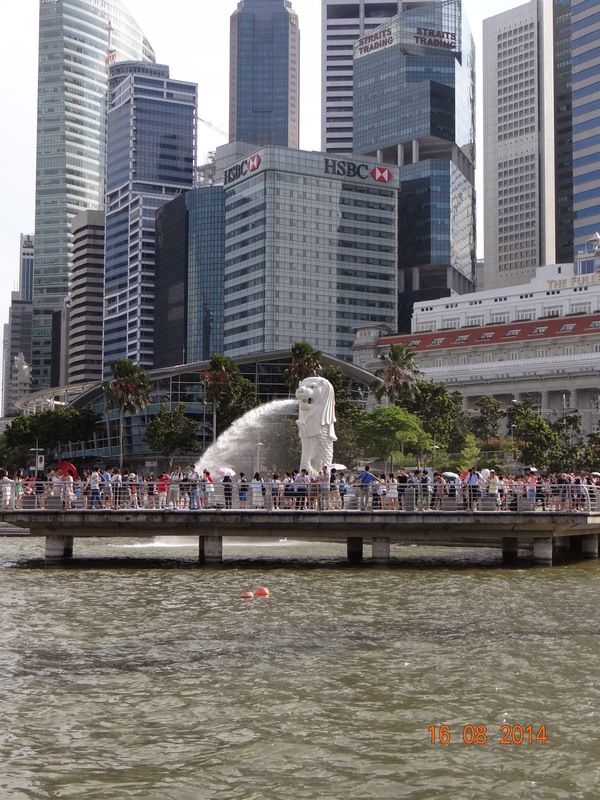 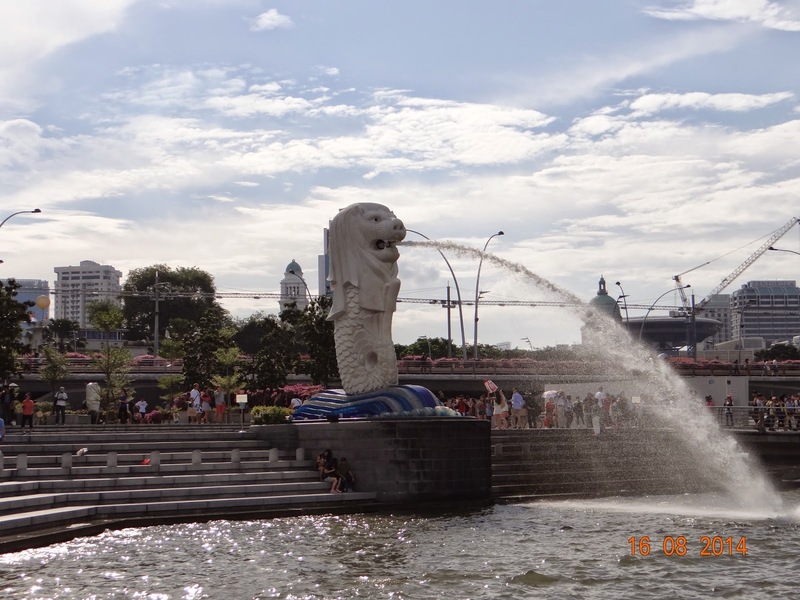 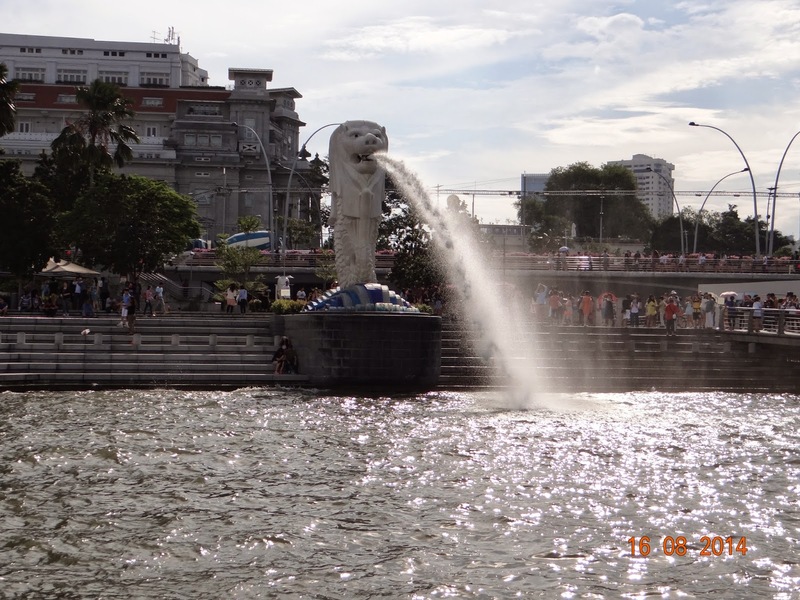 The enduring symbol of the city, the mythical creature that gave this city its name - the Merlion! 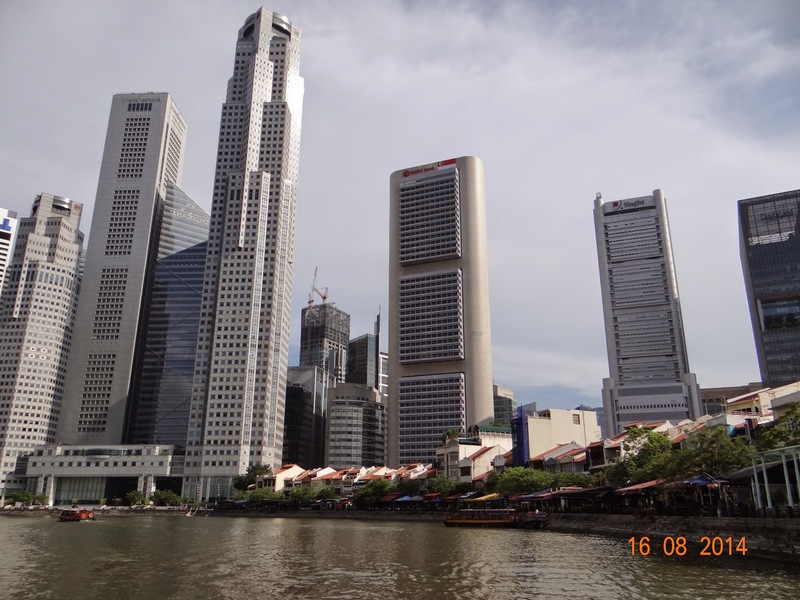 Did Raffles ever imagine Singapore would look like this? 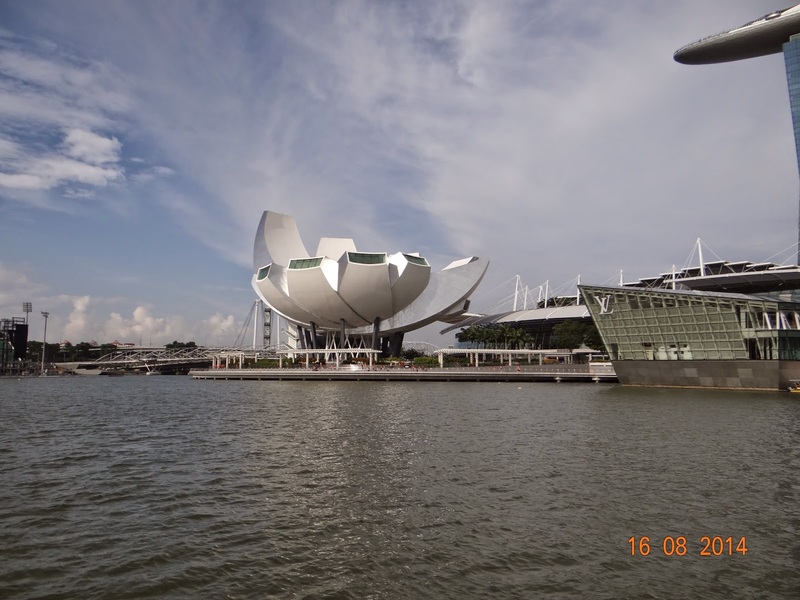 The architecture of the ArtScience Museum is said be a form reminiscent of a lotus flower. 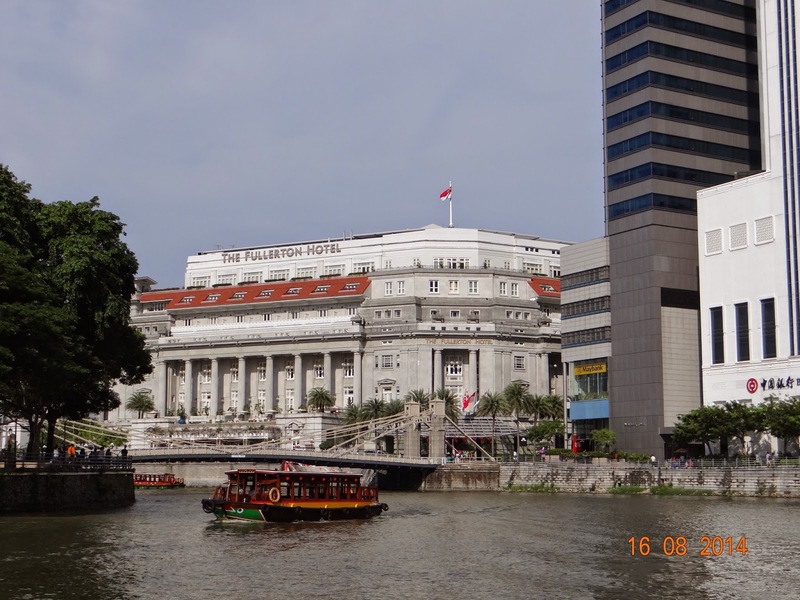 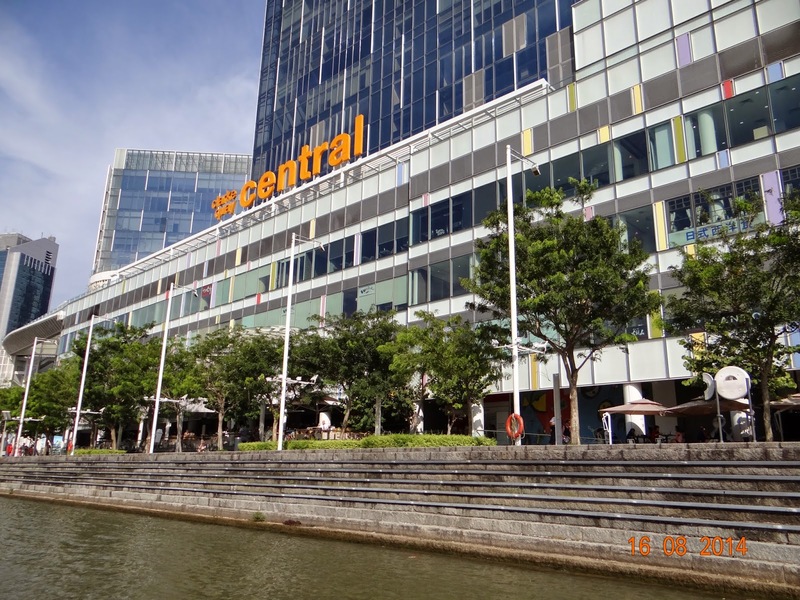 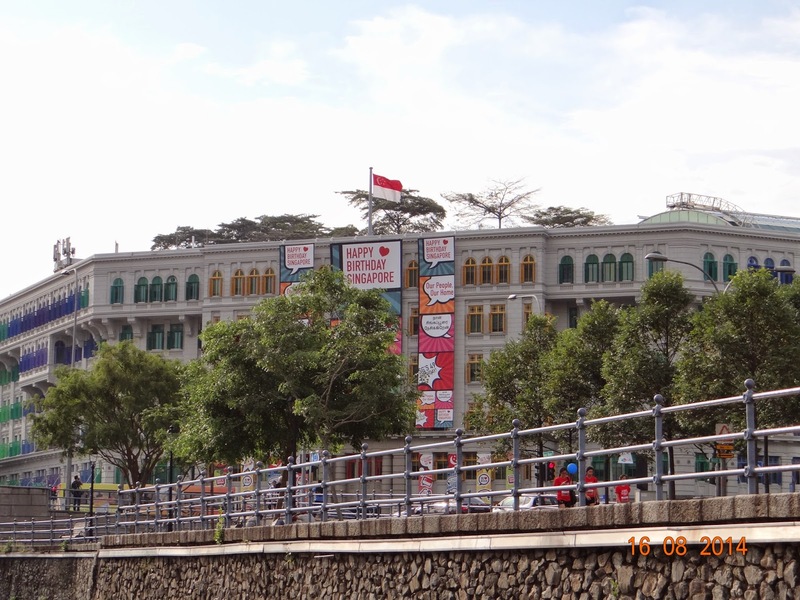 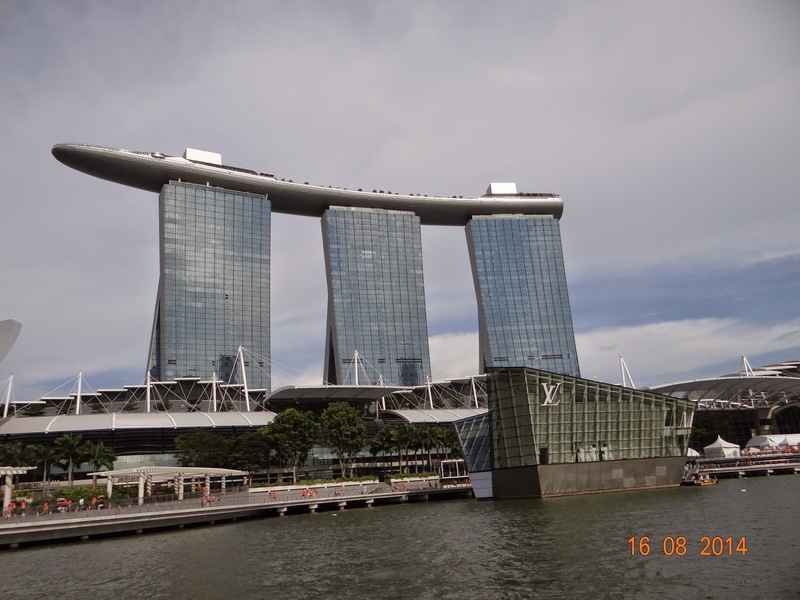 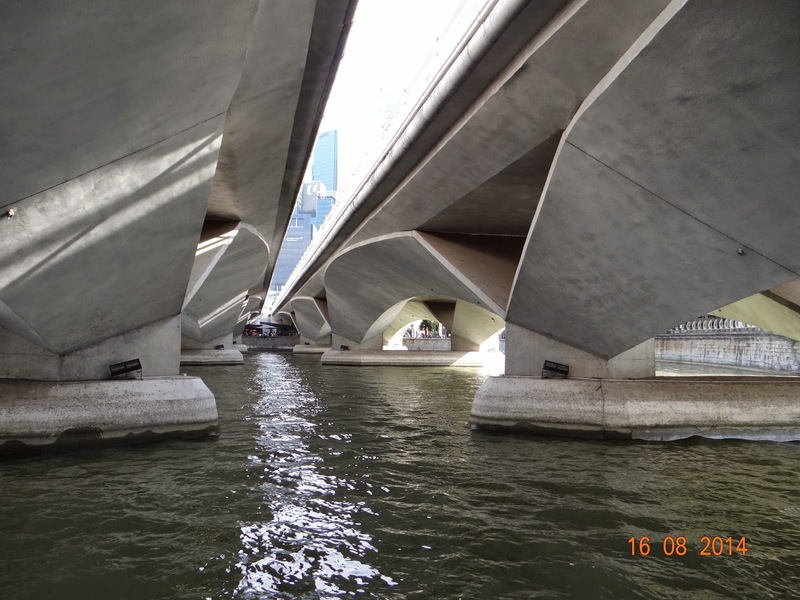 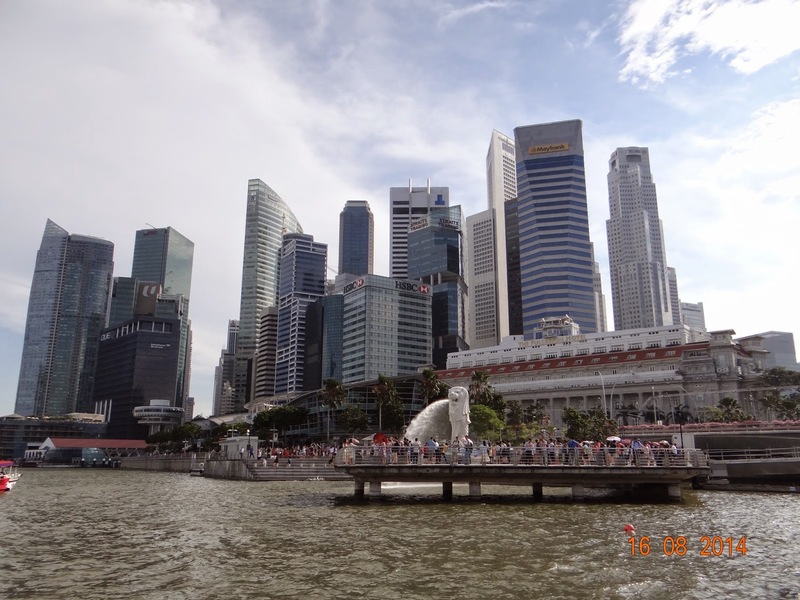 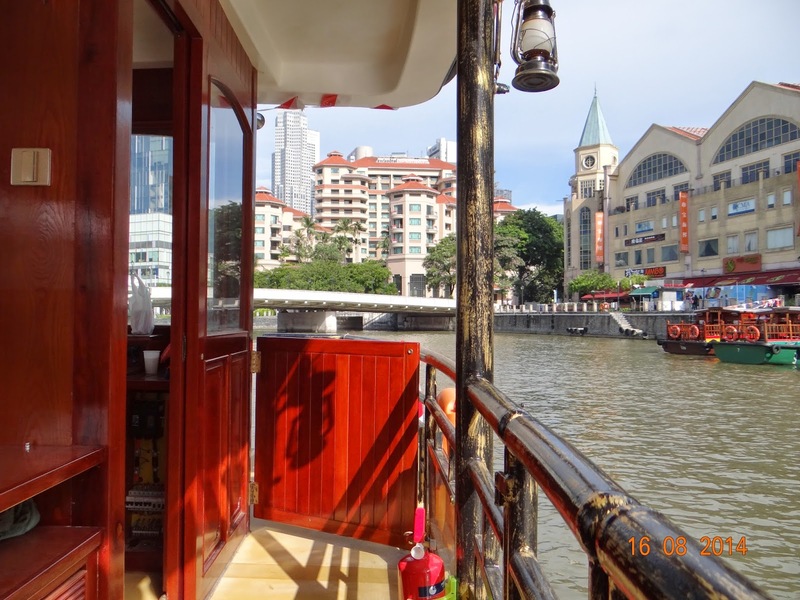 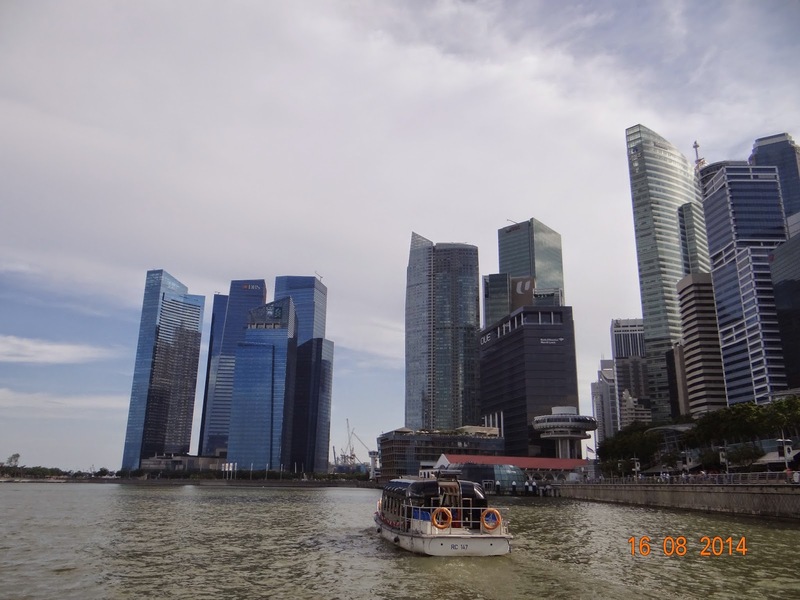 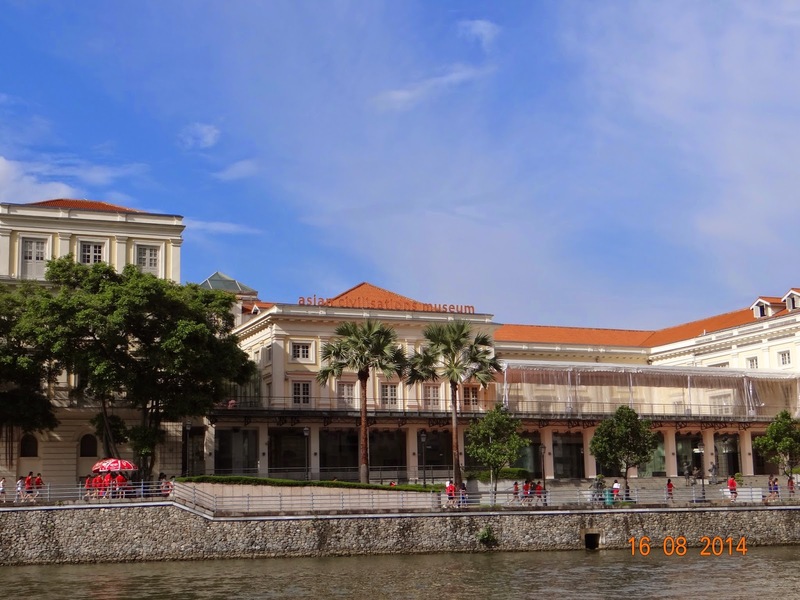 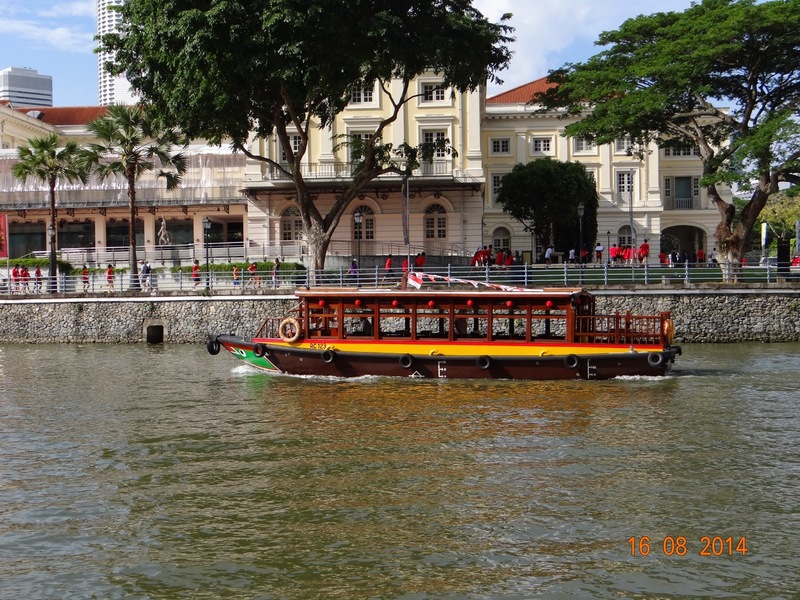 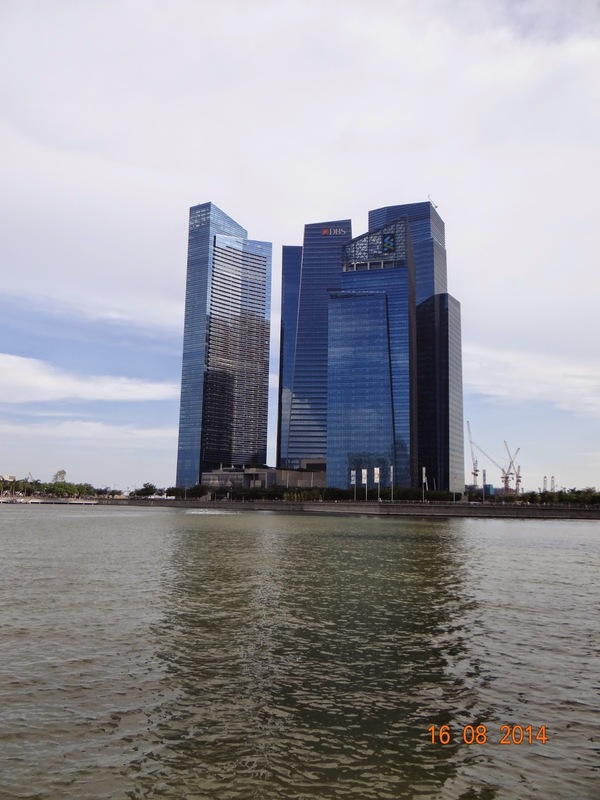 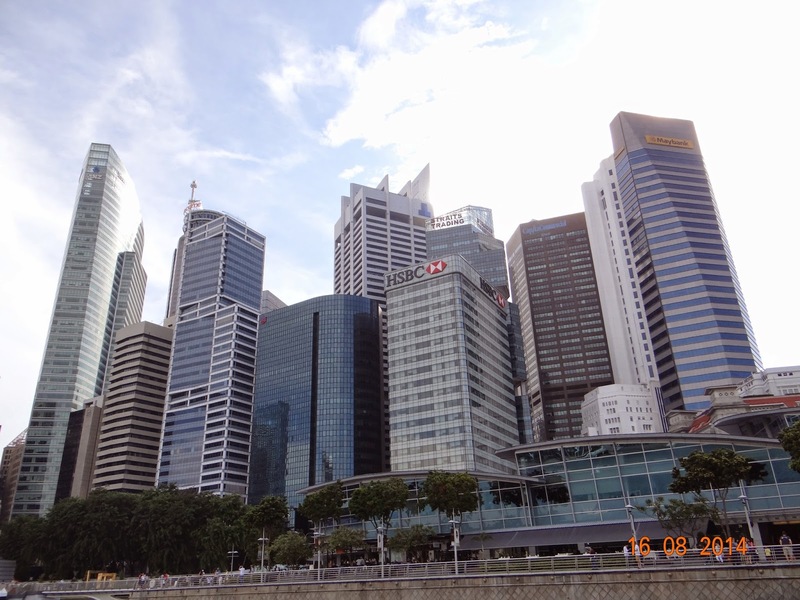 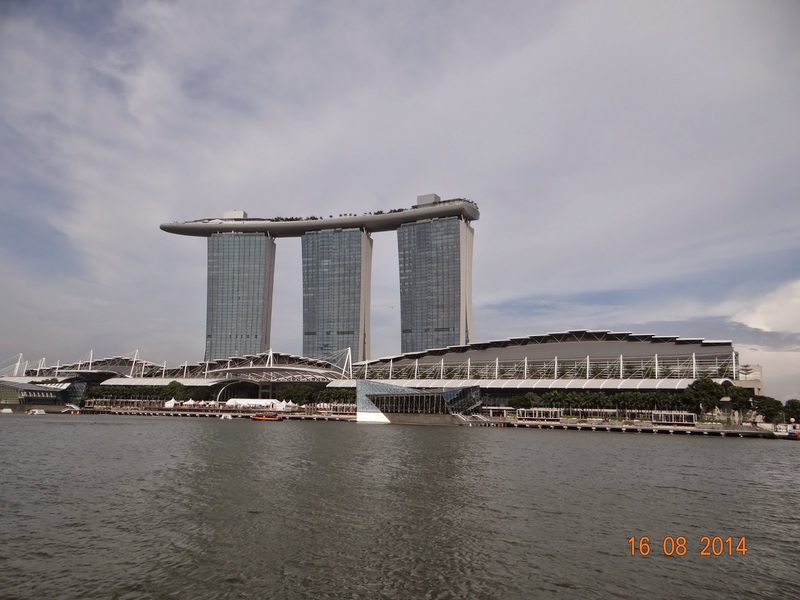 Designed by the Israeli architect, Moshe Safdie, its distinct design has earned it the epithet "The Welcoming Hand of Singapore"
As we headed back, we passed by the Raffles landing site - it was here on January 29, 1819, Sir Stamford Raffles alighted from his boat. 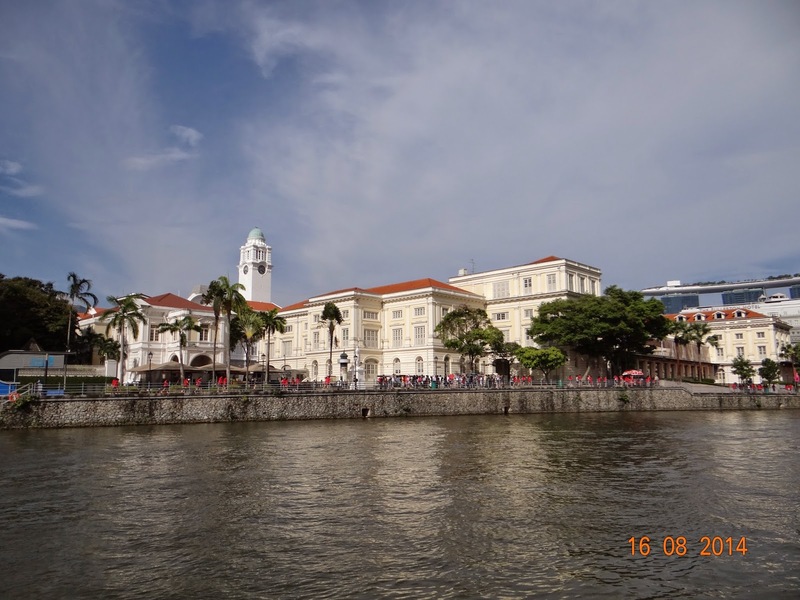 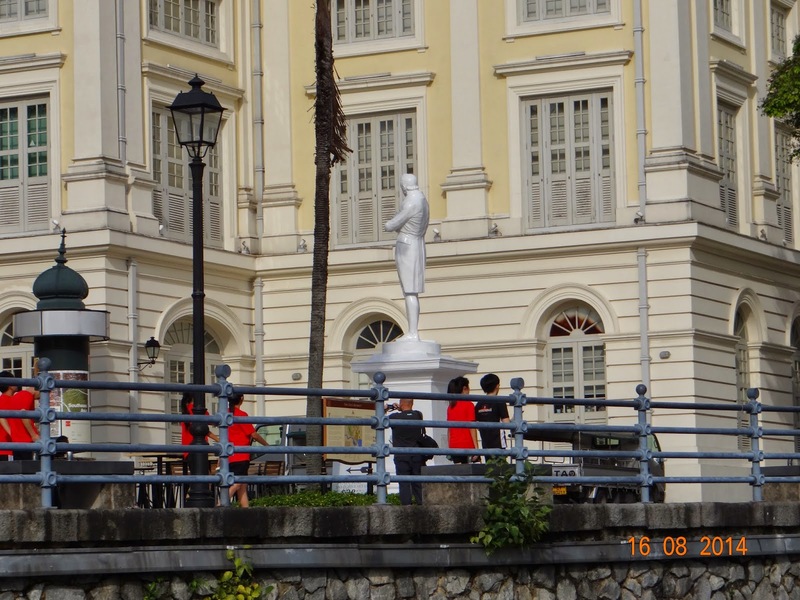 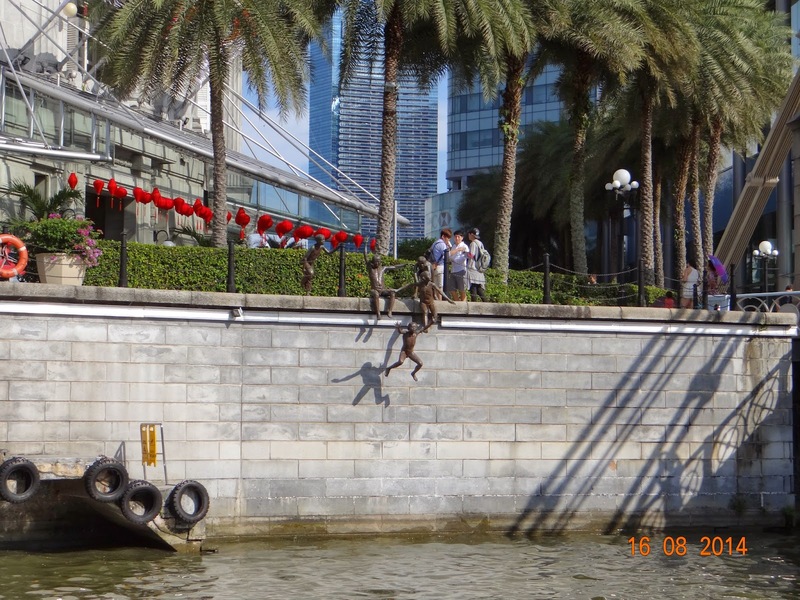 The Plaque at the landing site reads "On this historic site, Sir Thomas Stamford Raffles first landed in Singapore on 29th January 1819, and with genius and perception changed the destiny of Singapore from an obscure fishing village to a great seaport and modern metropolis."